Sustainability is in businesses’ best interest. Businesses set targets on everything that matters — so why not on sustainability too? Green Economy Hubs support local networks of businesses to set and achieve sustainability targets. Hubs bring together, empower, and celebrate businesses as they achieve their goals. Through Green Economy Hubs, businesses are demonstrating that profitability and sustainability go hand-in-hand. Green Economy Hubs are hosted by community organizations focused on driving sustainability. Together, we work with over 250 businesses across Canada. Green Economy Hubs are hosted by local organizations focused on driving sustainability. Together, we work with over 240 businesses across Canada. 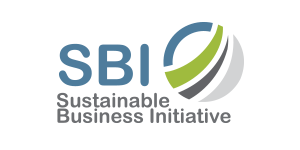 The Sustainable Business Initiative (SBI) is a multi-level program designed to support and guide businesses and organizations on their journey to greater sustainability. Based on the principle that “what gets measured, gets managed,” the SBI assists with measurement, planning, target-setting and reporting on progress of key sustainability metrics. Learn more about the Sustainable Business Initiative, a program of Sustainable Hamilton Burlington. Sustainable Kingston’s Green Economy program supports and recognizes organizations that are accelerating the shift to a low-carbon economy. With guidance and tools from the program, members of the network are leading by example by measuring, reducing, and setting targets on their carbon footprints. Learn more about the Green Economy Program at Sustainable Kingston. Green Economy London offers a practical approach for businesses that want to create a more sustainable future for their business, employees, and community. Businesses gain access to a wide variety of support, from technical workshops to one-on-one coaching. Achievements are celebrated by the community through media coverage, special publications, and events. Learn more about Green Economy London, a program of the London Environmental Network. Carbon 613 equips organizations in Ottawa with the tools and resources necessary to measure, manage and reduce their carbon footprint. Organizations are supported to measure their environmental impact, set a greenhouse gas reduction goal, and take the actions required to get there. With Carbon 613, a network of like-minded organizations are embedding sustainability into their operations, receiving public recognition for their actions, and gaining a competitive advantage. Learn more about Carbon 613, a program of EnviroCentre. Green Economy North is Northern Ontario’s membership-based sustainability business program. Members have access to a wide variety of support, from technical workshops to one-on-one coaching. Achievements are celebrated by the community through media coverage, special publications, and events. Learn more about Green Economy North, a program of reThink Green. The Regional Sustainability Initiative inspired the founding of Green Economy Canada to launch and support similar initiatives, now Green Economy Hubs. 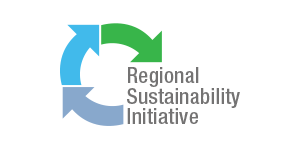 The Regional Sustainability Initiative is a member-based program that helps organizations in Waterloo Region assess their environmental impact and set carbon, waste, and water targets. The Regional Sustainability Initiative team works one-on-one with every member to help reach goals and milestones to achieve measurable results. Learn more about the Regional Sustainability Initiative, a program of Sustainable Waterloo Region. ClimateWise Business Network provides local organizations in York Region with the resources and expertise to maximize the benefits of going green. Working with local organizations, ClimateWise is creating a network of business leaders sharing best practices for reducing carbon emissions and increasing profitability. Learn more about the ClimateWise Business Network, a program of Windfall Ecology Centre.